Streaming Server: We searched the web about 30 days before choosing a stream host provider. We talked to 6 or 7 different places and we decided to go with ReliaStream. There were several things we wanted to hear or see. We had many questions and we wanted them answered in a timely manner. ReliaStream did that. We wanted to choose our server location. ReliaStream did that. We wanted a custom username. ReliaStream did that. We needed to figure out how to go from live to auto dj and back. ReliaStream helped us with that too! Fast forward two months and we are some very happy people. Not one server issue to report! We are very pleased with the service. Phone Apps: We were the test subjects for ReliaStream's new phone app service. The process went pretty smooth. 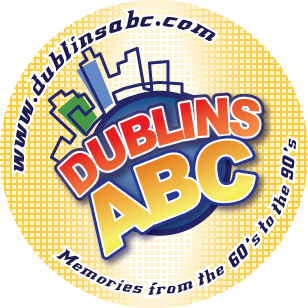 Their app guys are very nice and they helped us with the links and images needed for our streaming phone apps. We even made a mistake with our web site link after the apps were submitted and they corrected it and submitted the apps again. So far so good and our listeners have reported no problems with our phone apps. Thanks going out to ReliaStream. We were one of the first radio stations to broadcast on ReliaStreams new centova 3 server. They made us an offer we could not refuse. Centova 3 takes a little getting used to but once we figured it out all we can say is wow! We love the new centova 3 server and ReliaStream has been wonderful to work with. We are getting some help from one of the owners so this has been a great experience. We are taking full advantage of the new centova 3 fetures. We have 2 auto dj streams running off one account. We decided to go with a high bandwidth mp3 stream and a lower bandwidth aac+ stream. So far it's working perfect. We want to thank the staff for all the help and support. Once we finish our web site we will be ready to go. I've been with reliastream over a year now & every time I need a questioned answered or changes in my servers or account, they're right on it getting the job done even on weekends & late into the evening. You might get a better price on a bargain server & I got ripped off by one of these so called bargin stream host companies. These guys are way cheaper compared to most others for the super service they give. I run 2 full time 48k aac streams & 1 part time 256 mp3 stream which I spend less than $9 a month on and get the attention & service like a big station spending way more so all I can say is you can't do any better. Stop looking & roost your station here....... Bob from The Boss, the nets hottest bad @ss bluesrocker! 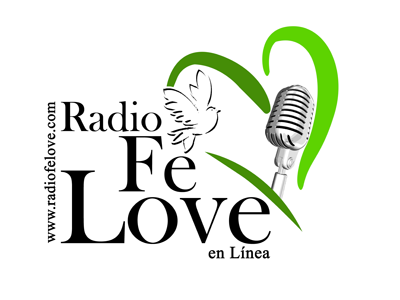 It has been a struggle keeping my live station afloat here in Guatemala, as a Christian Mission we use the radio for community projects like feeding homeless children working in the city dump. That means budget and expenses are very important to us. I remember in 2011 looking for new streaming service and seeing a ReliaStream ad for $1, and I thought I could not loose for just one dollar. Two years later they host all my radios, 2 live radios, 3 internet radios, and two radios of my pastor and two radios from my engineer. I have not just gained a reliable company but I feel like I have gained friends, someone who cares about my radio and my input. In my first six months as a client, I was having some very minor issues, and I remember what sold me on this company was that the owner himself called to help me with the resolve the issue. You guys are great, keep up the good work! After only being with ReliaStream for a short time and before being with a couple other companies I can not but help say that ReliaStream out does them hand over fist.ReliaStream has outstanding customer service that out do the past companies I have been with. I have sent in my fair number of support tickets and instead of waiting 24 hours or not at all for a reply, ReliaStream has answered within a 30 minute or less time frame. Nowadays in the e-commerce world having a response time like that based on a support ticket email is rarely heard of. ReliaStream latest update in servers went through without a glitch in the service they offer. Again a rare occurrence nowadays where major infrastructure improvement with other companies has caused not only major fixes but also downtime that caused major inconveniences to its customers.If you are looking for Streaming Service Company your search has just ended with ReliaStream. Don't mess with other companies that promise the moon but always seem to disappoint. Don't pay higher costs for services that are more than reasonable with ReliaStream and don't pay for cheaper services because you will definitely get what you pay for. ReliaStream is your one stop company that gives not only a beginning internet radio station like myself and well established companies the reliability and security we all desire. When it comes to online radio, one of the most important things is your stream hosting. Gladly, I met ReliaStream and now I'm a member of their family. Believe me, I searched a lot before picking my provider, and without a doubt I know I chose the best company on the market. When it comes to prices and support service, they are fantastic. Their prices are low and their support is awesome. Hell, they even submit your station to iTunes. ReliaStream is the partner you're looking for when it comes to stream hosting. Search no more, and join the ReliaStream family. Thanks again for everything guys!!! Rock On!!! Nicolas / Hard Rock Heaven. If you search around the web, you will find many companies offering services for your radio station. We knew right away this was a good decision to go with Reliastream as the customer service was far beyond what we have seen. They all have been great in answering any questions we've had. In case your wondering about the server end? No need to worry! Your station will be running without an issue. 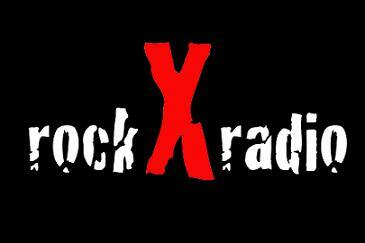 The rockXradio station is running smooth. We are very happy with the results and quality that we are receiving from Reliastream. Thanks Guys!!! Adam / rockXradio.com. We found about ReliaStream from another web site and are we happy we found them! These guys are great and they helped us every step of the way (and still help us after the sale is done). We even asked for their advise and our stations are doing very well. They told us to get on iTunes, we did, and now all we can say is wow. With in 60 minutes our classic rock station had over 250 listeners. We are adding more stations and getting the iTunes submission service for sure! We also received a huge discount when we started adding more stations. If you are looking for a place that works with your budget your search is over. If anyone asks us where to go for streaming service it will be ReliaStream all the way. We also thank you for suggesting that Jeffery guy for the radio imaging. Jeffery gave us the 10% off too. You guys are the best and thank you so much for all your help. We should have our web site up soon guys. We really enjoy working with ReliaStream. Before we found ReliaStream we was paying a huge amount of money to run our stations. Other companies like The Planet, 100Mbps, and others would give us various rates every month. Amped FM would get hit with huge bills and we never knew what we was going to pay from one month to the next. After we received a $500 bill we decided to look around. We ran across Broad Automation (now ReliaStream) and man what a difference. We know what we are going to pay every month, we love the way their network is set up, and their servers are top notch. We use their shared servers and we have a couple dedicated servers as well. All of our stations run perfect. We also take full use of their auto dj. Once you have that set up right you are golden. We was not to sure about the itunes stuff but we agreed to submit our stations. With in 3-4 hours every station we had was maxed out. This is when we had 100 slot stations and it does work. Everyone at Amped FM thanks ReliaStream. These are some down to earth people who love what they do.